A fabulous bread! It must taste wonderful. Great flavors. I love this bread! Looks so good. I have such respect for anyone who can bake bread and do it well. 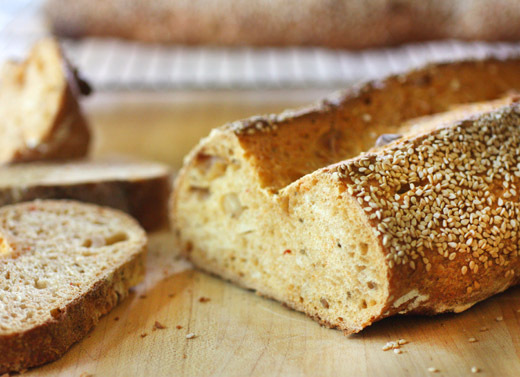 This is such an unusual bread recipe but it sounds delicious! The bread looks really beautifully and professionally baked. What the WHAT? Obviously I need this in my life. There's not even a question! 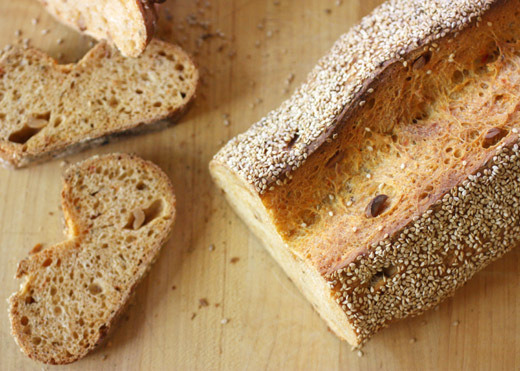 This is a fantastic bread recipe. I love those ingredients and I really want to try the spicy carrot sandwich, that sound so delicious. I like the cumin stead too instead of the caraway. Hope you have a great weekend. WOW! I'm in love with the sound and look of this bread! Peanuts, peanut butter, chile, cumin - so many flavors combined so beautifully in this gorgeous loaf! Thanks for sharing Lisa! Definitely a must try! What a terrific loaf of bread! Adore all the added flavor from peanuts and spices. A loaf of homemade bread is so satisfying. The aroma of baking in the kitchen and serving slices of fragrant bread is such a delight. What a unique loaf of bread - I'd love to try it! Very impressed! I totally admire your ability to combine two different recipes. The ingredients in that bread sound intriguing and delicious. Love pnt. butter and tahini and that final loaf with the slash down the middle looks perfect. 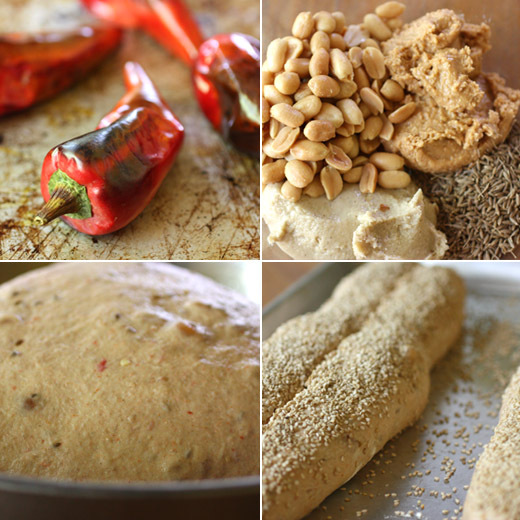 The flavors sound terrific, and your loaf is beautiful! The bread sounds incredibly delicious. The flavours are amazing and it looks lovely. Would give it a try soon. Thanks for sharing...bookmarked it. Wow, great recipe! I used to bake bread a lot, but haven't lately (by which I mean years!). Funny how we fall into and out of cooking patterns. But this is so tempting - I love chilies, and anything with peanuts immediately captures my attention. Really like this - thanks. 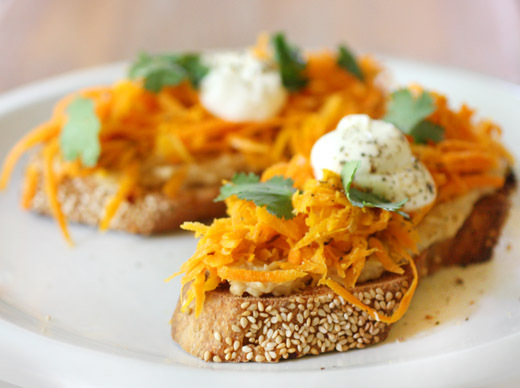 Spicy carrot slaw with hummus on top of homemade chile peanut bread? My heart be still! That looks like the best nosh ever. That is a very intriguing combination for bread. I would never have though to combine all of those things with yeast but the results looks amazing. What an interesting bread recipe! I'll bet it was tasty with the spicy carrots.